Lifecycle support - Modulight, Inc. Lifecycle support - Modulight, Inc.
Modulight offers its partners the desired lifecycle support – this can be simply providing the product and servicing it or more. Lifecycle services include training, installation, annual calibration, replacement, laser upgrade and recycling. However in increasing number of cases broader partnership are sought by the customers. 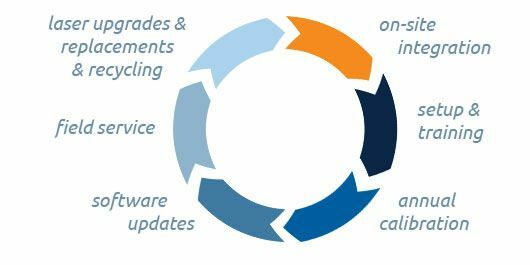 They increasingly ask us to design the entire system and supporting process – we’re also often in key role doing customers product documentation for FDA and other agencies. Look our design services for more information on custom engineering services for OEM and ODM. Modulight engineers support the whole lifecycle of the product. We do engineering collaboration with customers teams e.g. 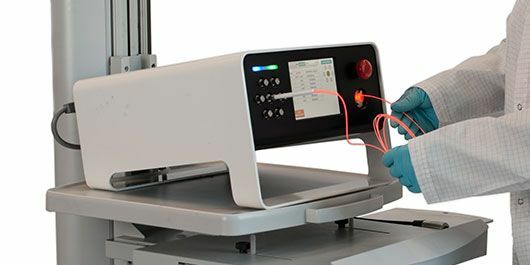 to ensure compatibility with Operating Room (OR) requirements or other equipment. Modulight provides onsite setup and training services as well as customized e-learning packages. We also do environment validation & more extensive onsite consultation on need basis.